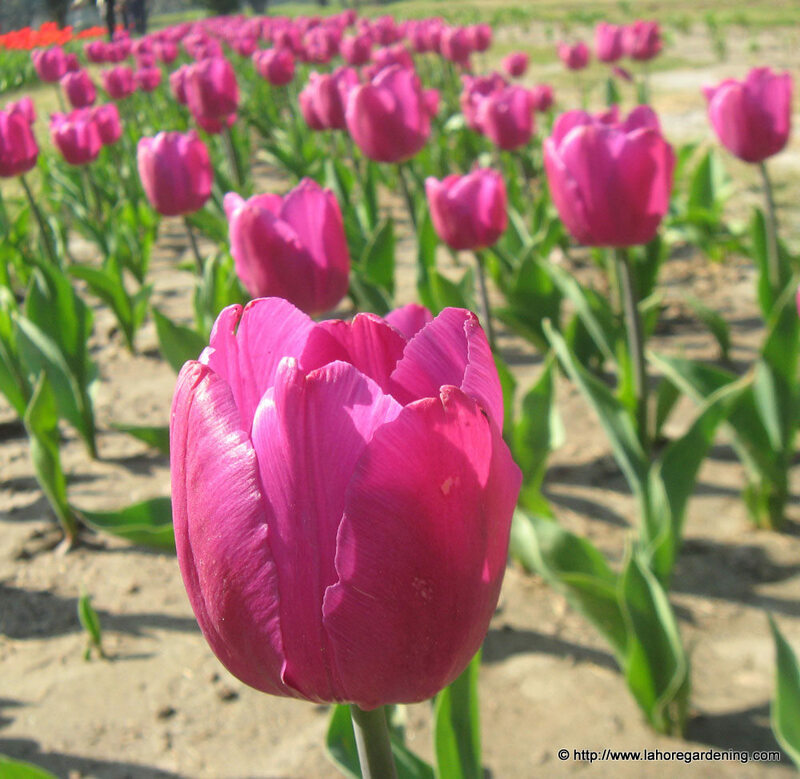 Let me share with you Blooms from Tulip flower show lahore 2011. Tulip flower show was dull although flowers were so pretty i almost got lost. The beauty of blooms was just exceptional. I think the bulbs were pre-chilled. Most of them were darwin hybird tulips. 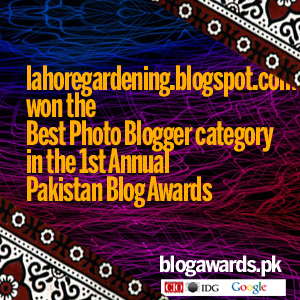 This post is part of Garden Bloggers bloom day, a monthly event hosted by Carol of May Dreams Gardens. Don’t forget to visit http://www.tootsietime.com/ for this week’s fertilizer friday. 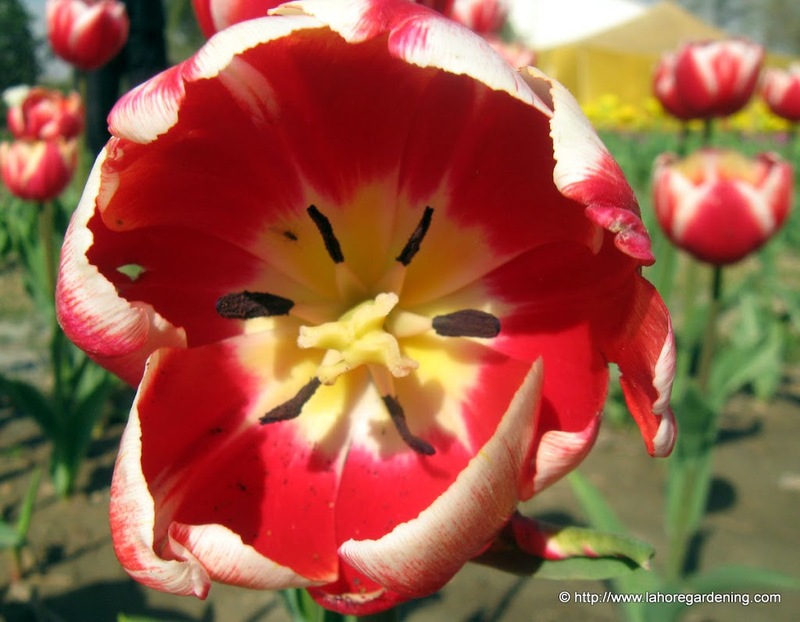 This post is also part of Blooming Friday hosted by Katarina. So do visit her website http://rosorochris.blogspot.com/ for other blooming friday posts. Growing in pots? you have to see this!!!!! Beautiful photos. I really love tulips! Oh my! 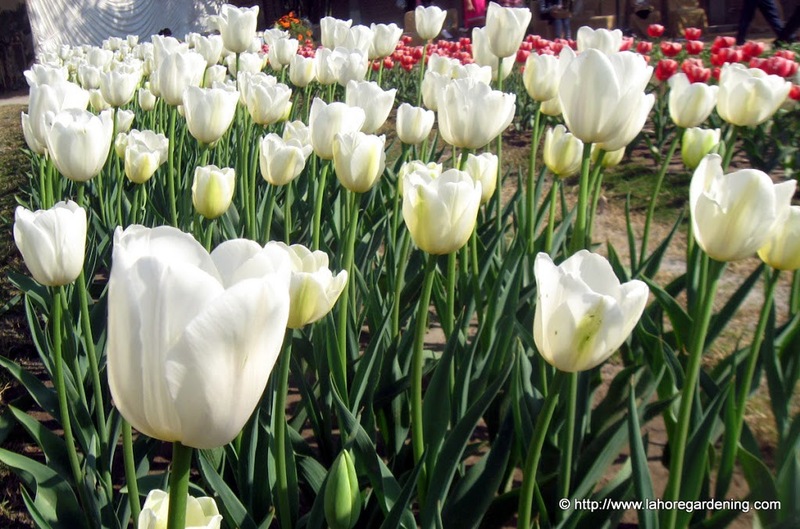 What beautiful Tulips…wish they would grow here for more than a season. 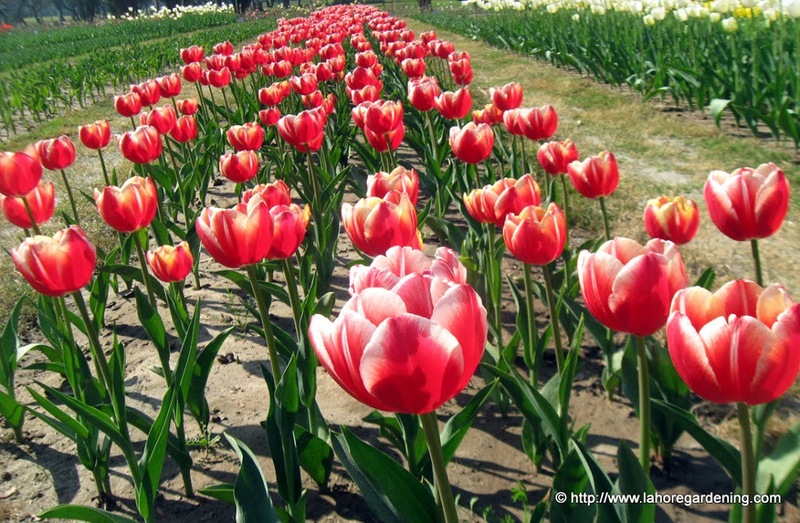 What a gorgeous gorgeous scene of tulips, wish I could be there! So many beautiful tulips, I don’t know which color is my favorite. Ours are all under snow yet, but in a few months, we’ll see them again. What a wonderful, colorful, post! 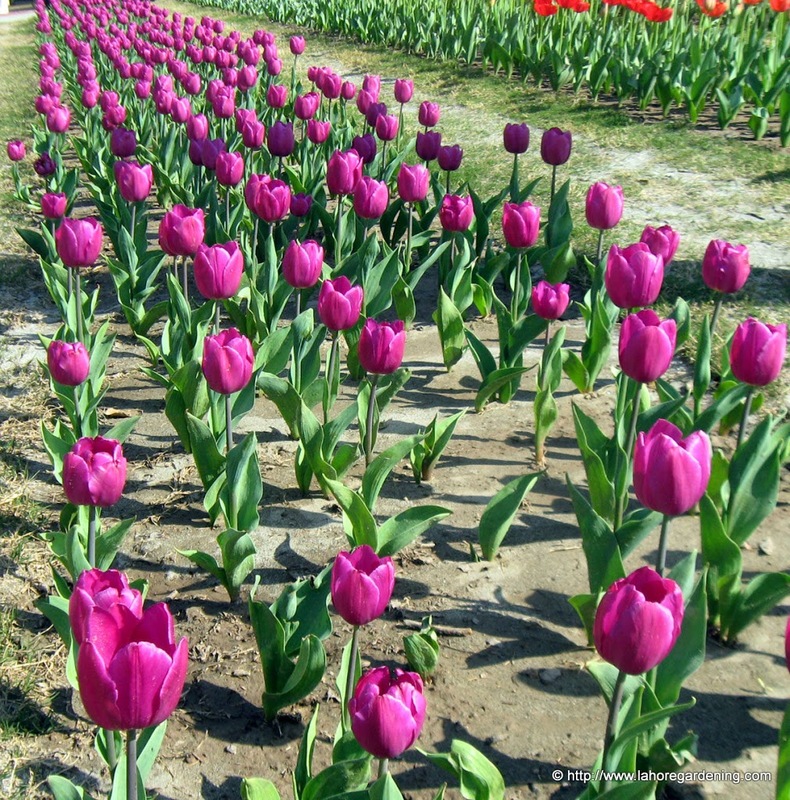 I hope you are successful growing Tulips. They are beautiful flowers. I love tulips. yes spring is already here in Pakistan. my Multan is too full of colorful flowers. This makes me look forward to April and May – the tulips you share are inspiring in my zone 5b. 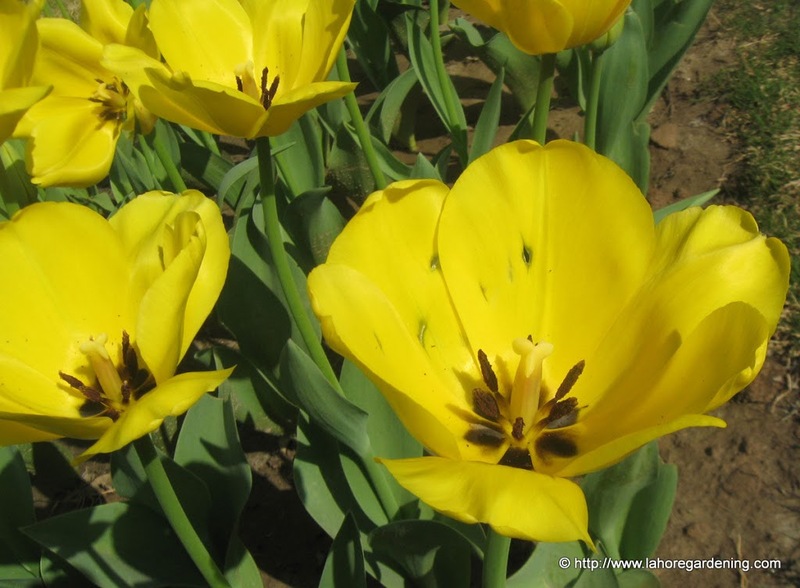 It is spring in your photos! Really good feeling for us in North! 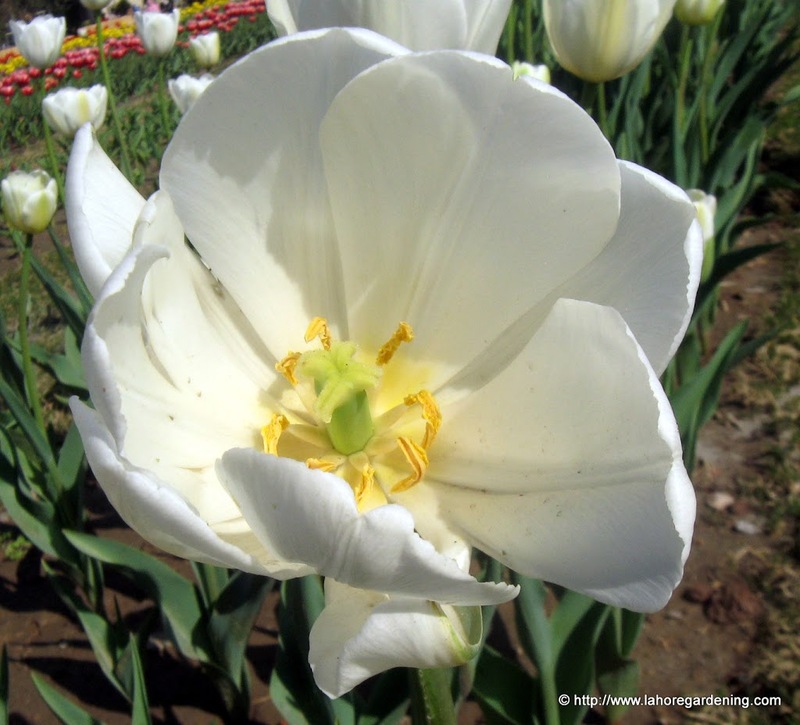 Amazing photos of all the lovely tulips. The white tulips looks like the snow here were I live. 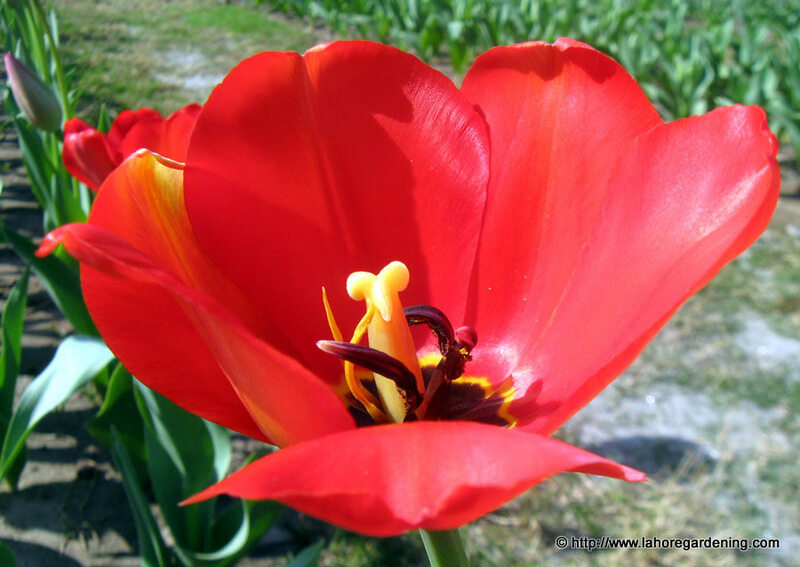 I love the tulip photos. I can seen why you’d be willing to try growing them, even if it will take some extra work to be able to enjoy them. I just love tulips. Thanks for sharing. All I can say is , Yummy! Such delicious eye candy. Oooh so many beautiful colors! 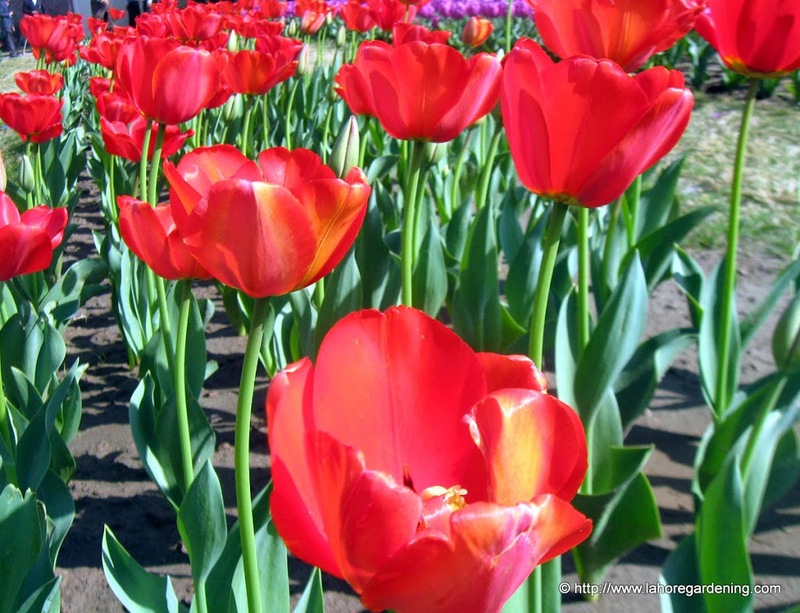 When tulips are mass planted like that they are just spectacular! Thank you for sharing! Happy GBBD! Now that is some color. Oh, you have made me very anxious for my tulips, which won’t be seen for a long while yet. Too much snow is keeping them snug underground. Love your images. Oh how pretty! Beautiful flowers. Happy Bloom Day! Lovely, so bright and cheerful. WOW WOW WOW!!!! this is gorgeous! 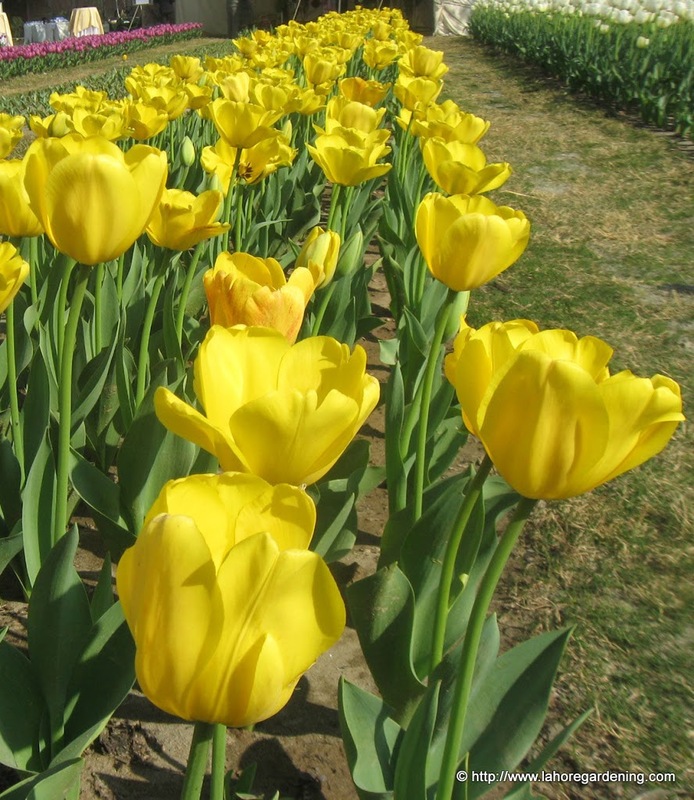 I don’t have any tulips here…but my friend across town always plants some. I love them in mass, they make such a statement! thanks for linking in this week to share them! Lovely flowers. Some great photos of them. Oh my! How very pretty! Tulips are beautiful flowers.